On September 12, 2015, the Department of Foreign Affairs, Trade and Development Canada (DFATD) announced that it would match, dollar for dollar, donations from individual Canadians to eligible registered Canadian charities—including PWRDF—for relief efforts for those affected by the Syrian emergency into the government’s Syria Emergency Relief Fund. The government match will continue until December 31, 2015. 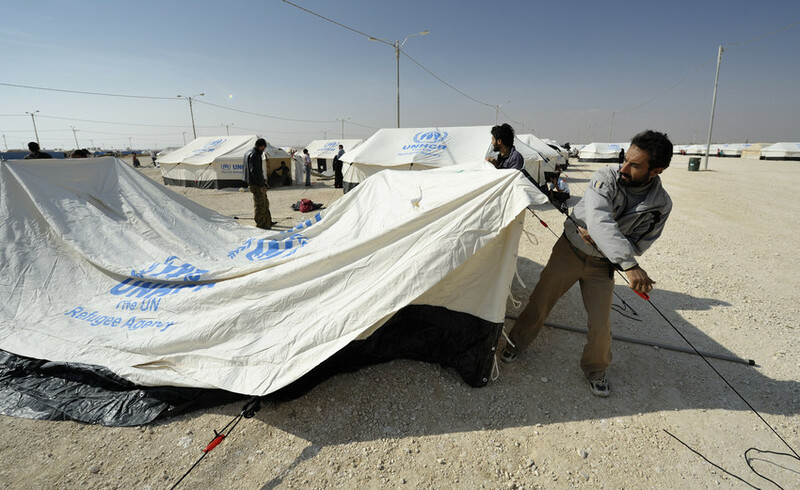 The Syria Emergency Relief Fund will be used to “help meet the basic needs of conflict-affected people in the region, as well as in official development assistance-eligible transit countries for refugees.” . PWRDF will be able to apply to the Syria Emergency Relief Fund for money to support its work in Syria, Egypt, Lebanon and Jordan, but the fund is administered by DFATD, and will be allocated by them. Since 2012, PWRDF has been providing food, water, shelter, health care, counseling, sanitation, and more relief to thousands of Syrians displaced within their own country, as well as those who have fled as refugees to Lebanon, Jordan and Egypt. PWRDF has worked with the ACT Alliance and the Canadian Foodgrains Bank to provide this aid. For more information on PWRDF’s relief efforts for those displaced by the Syrian crisis, click here.